One of the most common ways anglers break fish off is on the hook set. Bonefish behave unpredictably. Often a fish will eat your fly and make an immediate turn away from you. Sometimes even before you strip set. This is most common when a fish charges the fly while it is still high in the water column. Even small bonefish are powerful and failing to give them line when they need it will result in a familiar popping sound. You need to pay close attention to the fish’s behavior. If he follows the fly for a while and then pins it to the bottom, you’re probably safe but if he charges the fly before it sinks, especially if he is in a group, be prepared to let him run as soon as he’s stuck. Another very common problem is the stripping line wrapping around something. It may be your reel handle, your reel seat, a boat cleat or even your head. When you hook a bonefish he is going to run hard and fast and you are going to have some stripping line to clear to your reel. If not controlled, this line is going to find trouble. To clear your line to the reel properly you should separate your hands by at least three feet, using your stripping hand to control the tension of the line. This will keep the line from finding your rod or reel. Pay attention to what the line is doing on the deck. Be ready to dance a bit if it’s under your feet or around your leg. Don’t be afraid to ask for help from a buddy if the line is caught on a cleat or some other place out of your control. Once you’re on the reel, your drag should be doing the work for you. 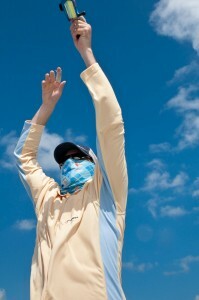 In my experience most anglers do not set their drag tight enough when bonefishing. You will often be using tippet twelve pound test or better and it’s surprisingly hard to put twelve pounds of pressure on a fish with a fly rod. It is possible to set your drag too tight for your tippet strength but a more common problem is a drag system that is functioning poorly. A reel with a poor drag system will have a good bit of start up inertia. This means that your drag can be set to ten pounds but it may take fifteen pounds to get it started. If you are having this problem you should consider a new reel. You can loosen your drag to skirt the problem but that reel will likely burn up pretty soon. Other drag issues result from poor maintenance. No drag system is immune. Carbon fiber sealed drag systems are the easiest to care for and shouldn’t require much as long as you wash your reels thoroughly after use. Even sealed drag systems can get water inside the housing. For example, a drag system that is under pressure builds up a lot of heat. Some anglers will stick the reel in the water to cool it down. Bad idea. The rapid change in temperature causes materials to contract and forms a suction inside the housing. Salt water is sucked into the housing and your drag will eventually fail. Cork drag units need to be properly lubricated. There’s nothing wrong with a well maintained cork drag but they beg to be neglected. When they are, they develop a lot of start-up inertia and you’re in trouble. Whether cork or carbon fiber, the first sign of trouble is often an unusual sound. If your reel sounds funny, check it out immediately. Don’t wait for it to fail. Bonefish flats often have patch coral covering portions of the bottom. These coral patches have sharp edges which will cut your leader if a fish drags it across one. 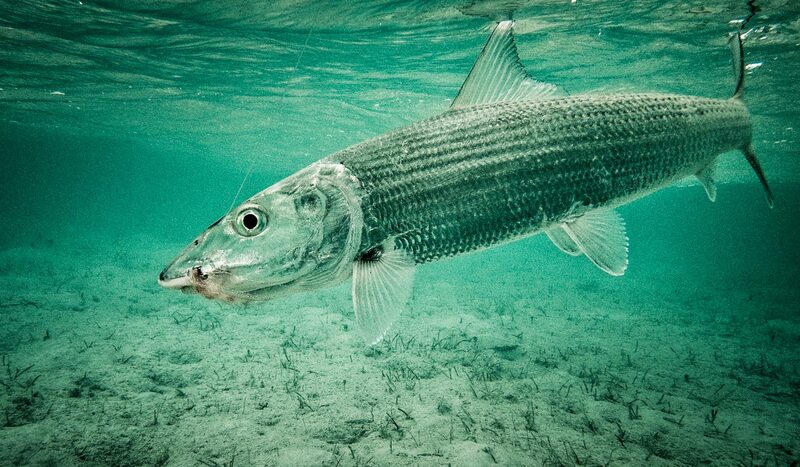 Bonefish like to make long runs before turning and running across a flat. It’s pretty easy to get in trouble. Pay attention to the composition of the bottom. If there is coral or other structure, lift your rod high when the fish runs, to keep your line clear. Probably the most common reason bonefish break leaders is that the leader has already been damaged. It doesn’t take much to substantially decrease the strength of your leader. Coral or sharp edges of boat hardware can damage your leader but the most common damage comes from fish. Especially small barracuda and snapper. It happens all the time. You make a cast and, before the bonefish you cast to can eat your fly, a snapper or baby cuda gets to it first. You unhook the culprit, make another cast, hook up and, snap! Even little snappers have sharp teeth that can damage your leader and cause it to fail. Check your leader after every fish, no matter what species. When it comes right down to it, successful fly fishing is all in the details. Bonefish can be challenging but break offs are one part of the game you can pretty easily control. Follow these simple steps and you’ll land a lot more fish. This entry was posted in Fly Fishing Tips & Technique, Saltwater Fly Fishing, The Hot Ticket and tagged bahamas bonefish, bonefish, bonefish flats, fishing, Fly Fishing, fly fishing lessons, Fly Fishing Photography, Gink and Gasoline, How bonefish break off and how to stop them, how to bonefish, how to fly fish, Kent Klewein, learn to fly fish, Louis Cahill, permit, photography, salt water fly fishing, tarpon by Louis Cahill. Bookmark the permalink. I fish for bass mostly in the off season, occasionally for trout. When the hook is set I like most hold on to the line with the line hand. Even though I am experienced in bonefishing I made a terrible mistake when just last week I set the hook with a good strip and the biggest bonefish I have ever hooked took off. The guide said it was a 9 pounder! I was so excited that I did not let him run by clearing the line. I held on with my line hand and the fish snapped the leader, not the tippit. I’m not a rookie at this but I made a totally rookie mistake.